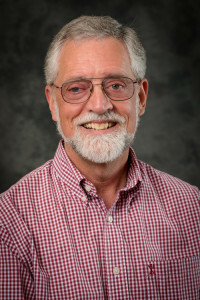 Dr. Ted Bornhorst is the executive director of the A. E. Seaman Mineral Museum of Michigan Tech and a 38 years. The native copper deposits have been the focus of much of his work which has been published in recognized scientific journals as well as many invited and volunteered geologic field guides. Currently, Ted is working with colleagues in Pennsylvania and Japan on the application of copper isotopes to the origin of the native copper deposits. At its 54th annual meeting in 2008, he was awarded the prestigious Goldich Medal from the Institute on Lake Superior Geology for outstanding contributions to Lake Superior geology. Ted Bornhorst is a recognized expert on the mineral deposits of the western Upper Peninsula of Michigan. Michigan’s Copper Country is well known as the home to the world’s largest occurrence of native copper deposits that yielded many world-class mineral specimens as by-products of producing about 13 billion lbs of refined copper. The bedrock and native copper deposits formed through a series of events related to the geologic history of the Midcontinent Rift System of North America about 1.1 billion years ago. Hydrothermal processes precipitated native copper, native silver, datolite, and multiple other associated minerals. Pleistocene glaciers exposed these deposits making them readily available for exploitation by Native Americans about 7,000 years ago and subsequently by Europeans in the first mining rush of North American from 1845 to 1968. The geologic history plays a major role in human history. Miners, mine captains, geologists, among others preserved minerals that connoisseur to novice collectors have come to know and love. The mineral legacy of Michigan’s Copper Country provides many picturesque examples of nature’s masterpieces.